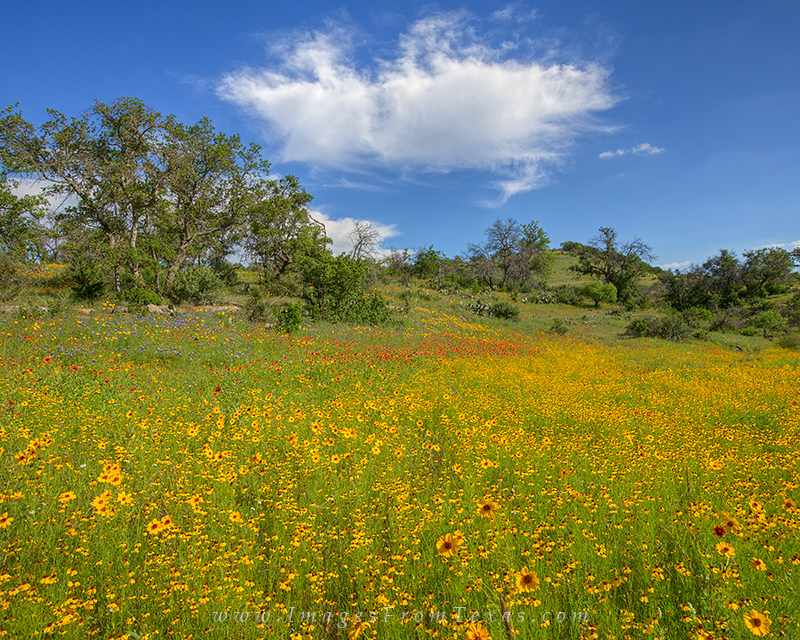 Spring wildflowers fill the gently rolling hills of the Texas Hill Country in this little scene just north of Llano. Each spring the landscape can turn red, yellow, and blue if the conditions are right. Photo © copyright by Rob Greebon.